I hate nursing and blood and shots and you know that. So, I change my mind. I’ve heard what you said, I know how you feel about nursing and I listened to every word. And now, I’m doing my project. It’s new. Even better. It’s on the Solar System, so much bigger and bolder than the moon. It’s all the planets from Mercury to Neptune, all that orbit our sun. It’s the gaseous rings of Saturn, the looming spot on Jupiter, it’s wonder, significance, it’s divine. And I hear that, I’m braced against your words and mad predictions, and I nod because if I don’t look a little bit like I agree, there might be a pinch or a hit or worse. “Here, try the Solar System,” you snap as you walk from the room and switch off the lights, leaving me there in the dark for the ghouls. My project is now on…the Universe. I am chasing the totality of existence. At eleven, I want to know it all, from the planets to the people, the stars in the sky, the human and inhuman, the chemicals and minerals. You can’t arrest the wonder, so smitten am I. My love of it crowds out my fear of you, my hate of you, and even though you have the others now telling me “You won’t win” and “everyone will laugh at you,” my final project is near completion. It has maps of the constellations and images of planets. 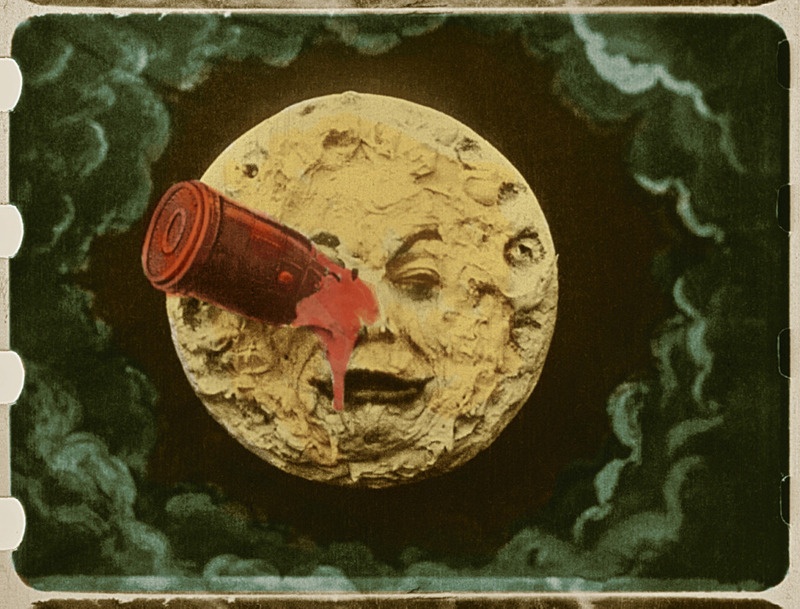 It has pictures from Georges Méliès Man in the Moon. It’s organized from the vast to the minute, page upon page of everything, everything I could find and love and hold in the universe safe against your clenched teeth, your bitter anger, your obvious jealousy of my joy. I sneak it out of the house to school because you’ve forgotten the day of the deadline. The project is 400 pages long. I listen in the audience as the awards are announced. When my name is called, I don’t know why, for my mind is in love and it wanders the universe, it revels in solitude of empty spaces. My friends nudge me and tell me to go. To what? I walk up to the stage not knowing, not expecting. I walk up and Sister MacDonald the headmistress hands me the top prize. My teacher is angry. How could I have won? The shame stomps me. Why mom? But, the why was like nursing, was tasted by the moon, the solar system nibbled it and the Universe ate it entire. It was taken, shaken and broken by a better “you,” a you who understood me, you my circle of friends who banded together, who swore a secret pact, who sheltered me from truth. And when I saw what you were doing, I was overcome. You loved me better than teachers and mothers; you were my glorious sun. Previous: Previous post: Rotten Eggs? I’m so glad you were smart, and strong, and clever. I’m glad you were tough, and bold, and gifted. I’m so glad I have come to know you through your writing. I’m just glad. Denise, your words make me happy in part because you remind me of the girl who was the ringleader, the one who set the wrong to right. Thank you. I want to please you? Ask for what you want of me. I don’t fit your plan. Linda, you have this strength too. I see it in your writing. Love the poem. It’s what I would have said if I’d been any good at asking for help. Thank you. I didn’t write that until many years later as I mourned all the times I hadn’t known how to say it. The thing is, I know that now and now is when I live. Beautifully written. I never wanted it to end. Wow. Thanks Arjun, the guy with magical blog. I’m glad you liked my piece. I got caught up in the emotion and your fierce passion for what you love! I could really see you at age 11. Thanks Amy. That was written in the thinking of my eleven year old self. Seems like it was yesterday. Tonia makes me laugh, she makes angry, she makes me think. I so enjoy her writing. I hope you do so too.